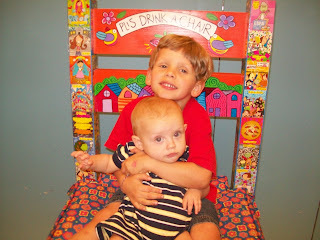 Last week, Randy took the boys to The Woodlands Children's Museum while I was at a doctor's appointment nearby. He didn't take near as many pictures as I usually do, but he did get a few good ones of our adorable boys. And Dawson and Brady had fun Daddy time! Sitting in the very big, very tall chair in the Mexican toys section of the museum. 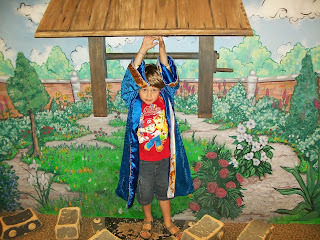 Dawson wearing a blue cape and playing in the dress-up area. 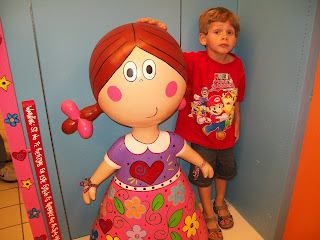 Posing by the big Mexican doll.